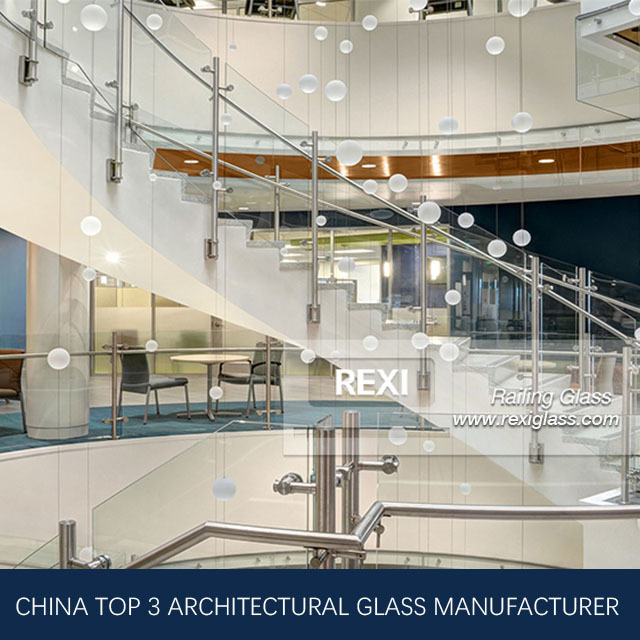 REXI GLASS - China Railing Glass premium suppliers，top 3 architectural glass manufacturer. 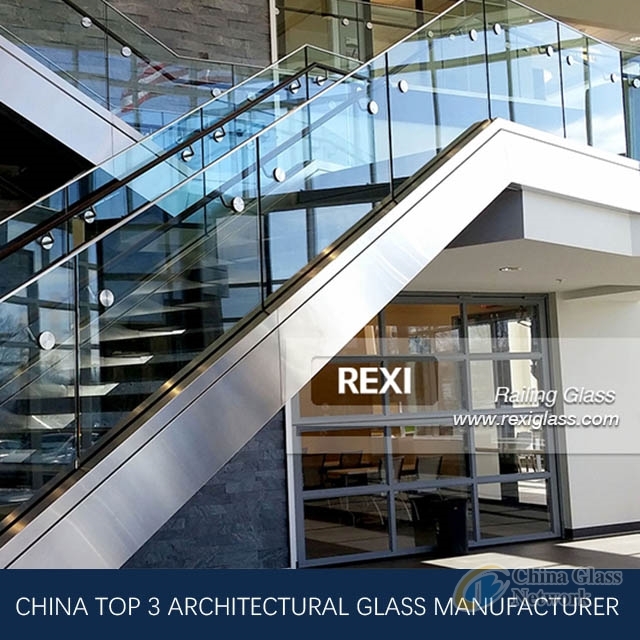 REXI glass handrail height is usually 850mm to 1200mm, specific height can be customized according to the actual needs of customers. 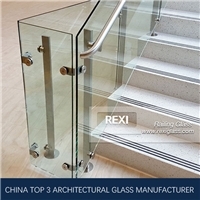 It generally composed of handrails, columns and glass plate body, and can be with frame or frameless. 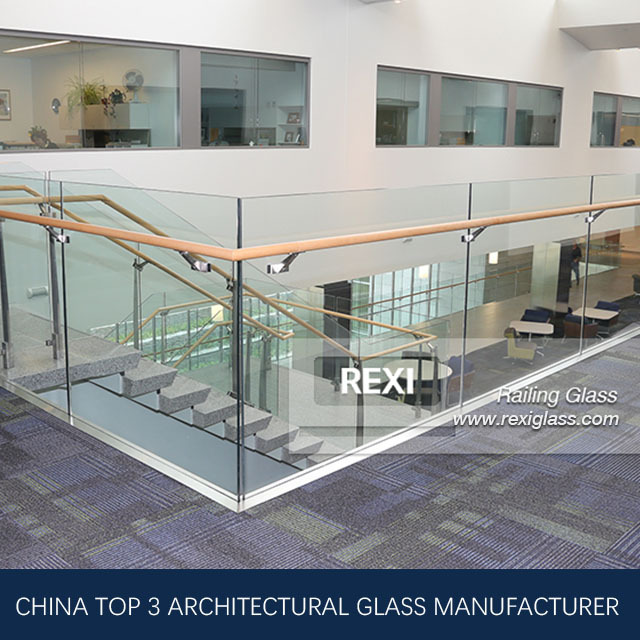 In China glass handrail factory, handrails have category as round steel, square steel, rectangular steel and wood handrails. 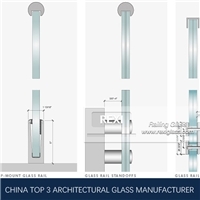 The columns are divided into round tubes, rectangular tubes, square tubes, double steel plates and single steel plates. 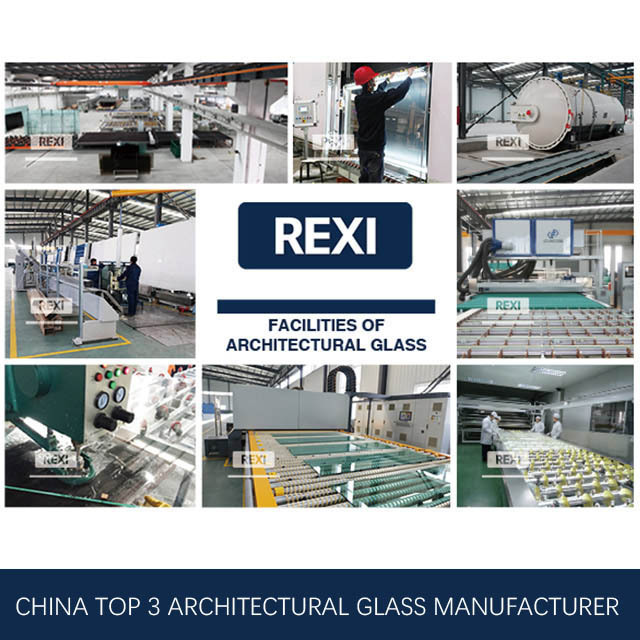 The glass plate must be tempered, and can be transparent or frosted. 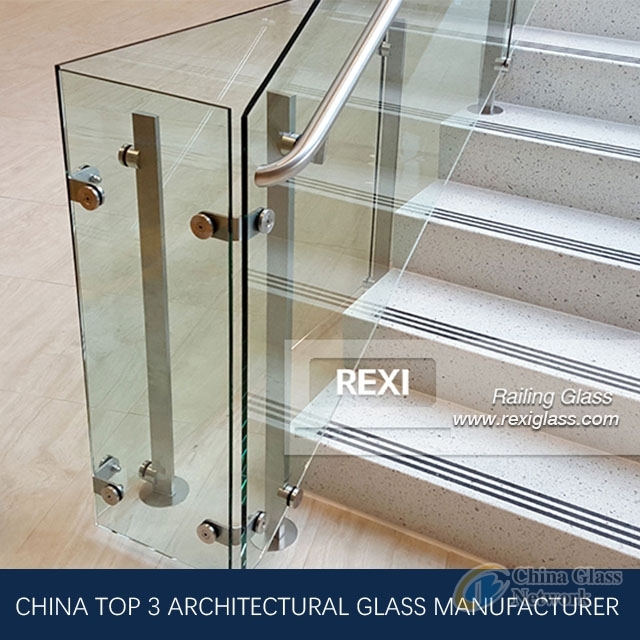 China glass handrail suppliers do the packaging according to customer requirements, we can provide EPE, bubble film, PP bags, cartons, wooden boxes and other packaging materials. Installation requires detailed drawings and instructions. 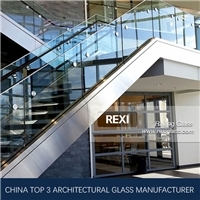 The price depends on the difficulty of installation. 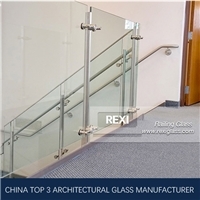 If there are only screws jobs and no need of welding, the glass handrail price will be lower. 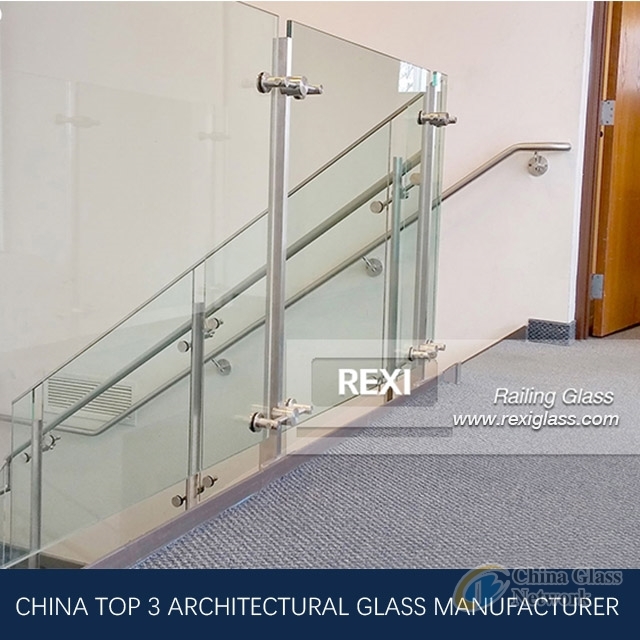 China glass handrail manufacturers must make sure that slight scratches with a width of less than 0.1mm and a length of less than 100mm are allowed to appear no more than 4 per square meter of area. 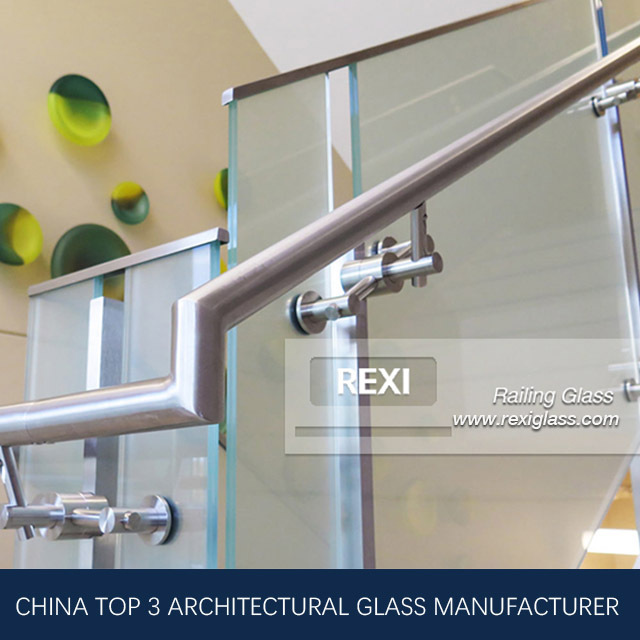 For scratches of width greater than 0.1mm, length of less than 100mm, per square meter area allows no more than two. 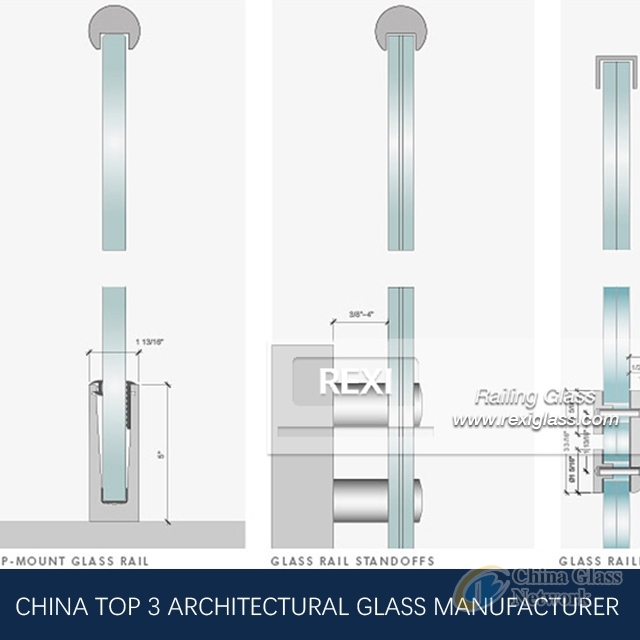 The distance between the clamp and the edge of the glass is less than 20mm, and the deformation of the edge is less than 2mm. 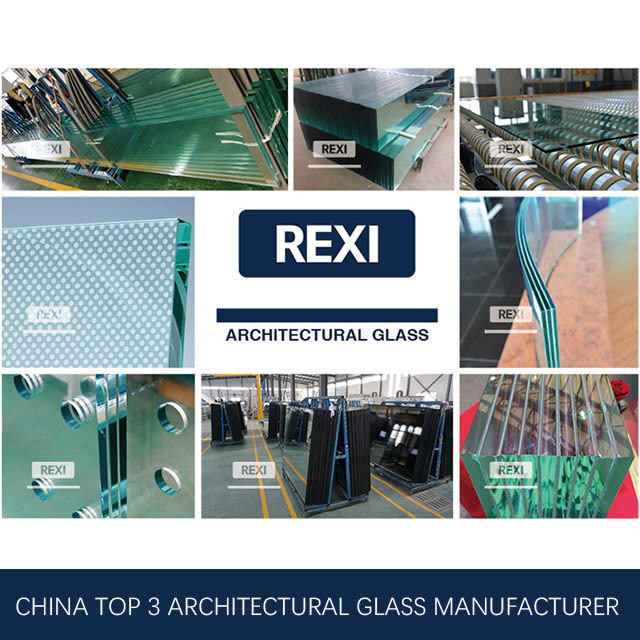 At last, cracks and missing corners are not allowed to exist.